In line with the United Nations [UN] 2008 declaration, June 19 every year is observed as the global sickle cell day. In Nigeria, the day was marked with lectures and public enlightenment campaigns which were mostly organised by Non- Governmental Organisations (NGOs) to draw attention to the plights of sickle cell patients. Sickle cell disease is a genetic condition affecting the red blood cells or haemoglobin ,an iron containing protein in the red blood cell which makes them become hard and sticky , given the appearance of a C-shaped farm tool called a’ sickle’, instead of the normal round shape. 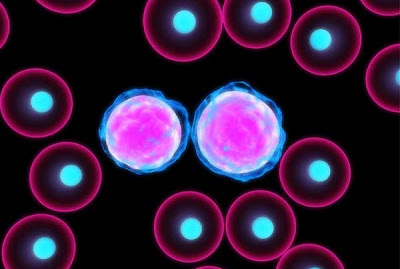 These abnormal cells get stuck in small blood vessels, blocking the flow of blood and oxygen to organs in the body. Normally, haemoglobin is a round shaped constituent of the red blood cell,with a normal one termed Hba or Hgba, but in sickle cell disease, the sufferer produces haemoglobin S[ Hbs or Hgbs], an abnormal variant . However, there is another form of sickle cell disease referred to as Haemoglobin S-beta thalassema or Haemoglobin SC disease , in which case a person inherits a sickle cell gene from either of his parents and a different kind of abnormal gene from the other. On the other hand, there are individuals who will have normal haemoglobin gene copies and Hbs copies. These group of people will produce about 20 to 40% haemoglobin S but will produce enough haemoglobin A , so that they do not generally experience health problems. This single altered copy is called sickle cell trait and it can be passed on to their offsprings. This inherited disease affects millions of people across the world and it is particularly common among those whose ancestors come from sub- Saharan Africa ; regions in Western hemisphere [ South America, the Caribbean and Central America]; Saudi Arabia, India and Mediterranean countries such as Turkey, Greece and Italy . In the United States of America, mainly blacks or African Americans are affected, occurring in 1 of every 500 births and about 1 out of every 36,000 Hispanic births. In Nigeria., over 5 million people are reported to be suffering from the disease, while no fewer than 100,000 Nigerian children die annually out of 160,000 who are born with the disease. Sickle cell disease patients suffer from a number of health problems such as Acute Chest Syndrome [ACS] caused by the blockage of blood flow to the lungs. It is similar to pneumonia with symptoms like chest pain, coughing, difficulty in breathing and fever which can be life threatening. Other ailments include severe pain or crisis, swelling of the hands and feet [ hand- foot syndrome] , infections like hepatitis, flu , long term eye damage and stroke , caused by lack of flow of blood and oxygen to the brain. Most of the time sickle cell disease patients are anaemic, hence the term’ sickle cell anaemia’. Victims of sickle cell disease or anaemia are among the weakest in the society as they are left incapacitated through low self esteem, delayed puberty, reduced physical growth, reduced school attendance and sickle cell disease stigmata such as jaundice and leg ulcer among others. Nigeria is said to have the highest number of sickle cell patients in the world as well as the poorest health care and support system for them. The life expectancy for a sickle cell patient in the country is averagely below twenty one years, only those that have the wherewithal to take care of themselves enjoy longer life-span. An example that comes to mind is Mr. Wale Fanu, a film producer who is over 60 years old. This is due to the negative attitude of people and government towards making life more comfortable for those living with the disease. A number of treatment options abound for sickle cell disease, depending on the symptoms presented. These include blood transfusion, maintaining high fluid intake, intravenous fluids and giving of analgesics. For severe sickle cell disease, a medicine called Hydroxyurea might be recommended. This drug is reputed for reducing the number of painful episodes, Acute Chest Syndrome, hospital stays and the need for blood transfusion among adults who have the disease. Identifying infants with sickle cell disease in the first week of life and administering Penicillin injection can help prevent some of the serious medical problem of the disease including septicaemia .Also, taking of specimen of placenta of babies in vitro for testing to determine the presence or otherwise of the disease can help couples make the decision of either keeping the pregnancy or not. Bone marrow or stem cell transplant, a risky but effective cure for sickle cell disease is adjudged as the permanent cure. The procedure includes the taking of healthy stem cells from a donor’s bone marrow and put into someone whose bone marrow is not working properly. A successful bone marrow transplant would see a sickle cell patient producing new healthy blood cells. An unsuccessful transplant which occurs when the stem cells are not closely matched could result in serious complications including death. The University of Benin Teaching Hospital recorded the first successful bone marrow transplant in Nigeria on 29 September, 2011 by transmuting 7 year old Mathew Ndik from SS genotype to AA genotype , using stem cells donated by his 14 year old brother, Emmanuel. Also, recently, a 33 year old Chicago woman, Leshea Thomas , successfully underwent a bone marrow transplant donated by her sister through a process called Leukapheresis. The operation was performed at the University of Illinois Hospital and Health Sciences System in the United States of America. It is important for parents/ guardians of children with sickle cell to come together and share common challenges arising from the ailment with a view to instilling high degree of self esteem among these children. Similarly, belonging to self help groups and participating in their activities could also improve their well being. On the part of government, there is need to step up enlightenment campaigns on the disease. Equally, setting up a National Intervention Fund for the disease , as in the case HIV/ AIDS , should become the immediate priority of government across the country . Also, we might, if necessary, need to look inwards in order to get local solutions for the disease. In same vein, it is essential that pre- marriage testing of genotypes of couples and genetic counselling is encouraged by religious institutions to prevent couples with Hbs or those with traits of the disease from getting married in order to steer clear of avoidable complications. In all, government at all levels should give more recognition to people suffering from the disease. It is, however, heartwarming to note that a government sponsored bill on sickle cell is now before the National Assembly. It is commendable that the Federal Ministry of Health through the efforts of the Nigeria Sickle Cell Foundation recently established four dedicated Sickle Cell Centres in Federal Medical Centres at Keffi, Gombe, Abakaliki and Ebute Meta in Lagos in addition to putting in place a sickle cell desk in the ministry. But, there is need to do more. For instance, Federal and state governments should sponsor free bone marrow transplants like those being provided by the Mediterranean Institute of Haematology, Rome, Italy in partnership with Sickle Cell Foundation Nigeria. Government also need to provide free medications comprising of routine drugs like Folic acid, multivitamins and pain relieving drugs to sickle cell patient. If we are to preserve the sacrosanct of life, nothing should be spared in providing succour for victims of sickle cell disease in our country. The time to start acting is now.